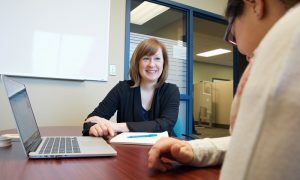 Academic study and research are the core of the graduate experience at UBCO. Many resources are available to help graduate students thrive academically and take charge of their educations. 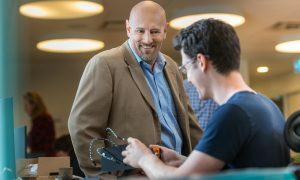 The College of Graduate Studies supports current master’s and doctoral students throughout a student’s graduate career. For help planning your academic program, speak to a Graduate Program Coordinator in your program of interest. Coordinators can assist with program planning, degree requirements and other course-related questions. A thesis is the final product of a student’s time in graduate school. Students should begin planning their thesis from the beginning of their program. There may be situations where graduate students would like more information about our registration process or visiting student agreements. The rapport between a graduate student and supervisor is one of the most important factors in graduate student satisfaction. There may be situations where graduate students need to pursue a leave of absence, or would like more information about withdrawals. If you’re nearing the completion of your graduate degree at UBC’s Okanagan campus, this is the place to check deadlines and other requirements related to program completion. Join a writing group, where you can be motivated and supported by your peers. Want to schedule your graduate experience? Identify and learn more about the major deadlines applicable to graduate students. 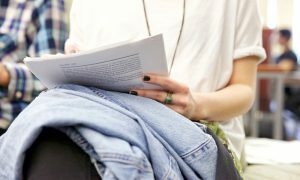 The Centre For Scholarly Communication (CSC) supports graduate students, post-doctoral fellows, staff and faculty in distributing their research. The Centre for Teaching and Learning (CTL) provides campus-wide support for all models of teaching and learning, including workshops for teaching assistants. The Office of Research Services (ORS) seeks to advance research by enhancing the promotion, development and management of research, knowledge transfer and innovation. The Disability Resource Centre (DRC) ensures educational equity for those who have a disability, illness, or injury and experience barriers in an educational setting.